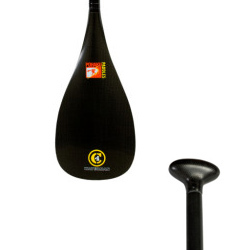 This Pohaku Carbon 2 piece Stand up paddle is made of the same 100% carbon material and circular shaft design as POHAKUâ€™s original 1-piece, but is easier to transport and store and generally more compatibile for the traveler. This light weight custom paddle is used by professional stand-up paddlers such as Brain K, the Malloy Bros, Bonga, Dave P, Archie, Buzzy, Rob Machado, Ikaika Kalama, Mel, Raimana, and the majority of Hawaiiâ€™s Watermen; these are the people that have made the stand-up paddling sport what it is today and still spreading the fun. This two piece has a nine inch long blade, a sleek oval shaft and is made from 100% carbon. 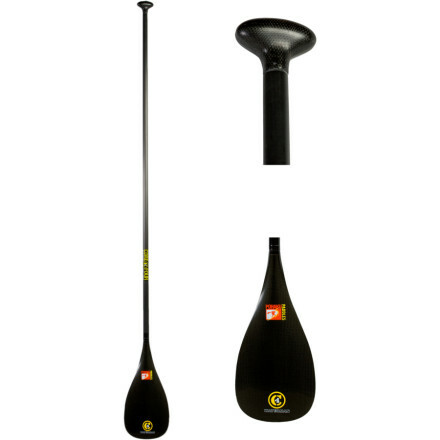 Pohaku Beachboy Paddles offers 100% carbon designs with oval shafts, effective blades and specially designed palm grips. These paddles are known for being tough, light, tested, proven and used by Hawaiiâ€™s greatest SUP pioneers. These areÂ standup paddles made by standup paddlers. If you are serious and want the best, Pohaku Beachboy Paddles offers designs that are 100% carbon with specially designed palm grip, oval shafts, and functional blades.